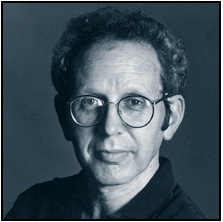 This Saturday, July 10, at 1 p.m. in the Delta Blues Museum classroom, Peter Guralnick will discuss his writing on blues (his first interview was with Howlin' Wolf) and Sam Cooke, the Clarksdale-born music legend, with Marc Smirnoff, editor of the Oxford American magazine. This event is free and open to the public. Guralnick will be available to sign books after the talk. This event is part of the Oxford American's "The Most Southern Weekend on Earth" celebration of its "Best of the South" issue, featuring events in and around Clarksdale July 9-10 and live music at Ground Zero Blues Club, Clarksdale, MS. For more information, go to The Oxford American. Peter Guralnick has been writing about American music--blues, country, soul, R&B, gospel, and rock-and-roll--for 45 years. His mastery of the facts and his deep feeling for the heart of popular music is unsurpassed. So is his gift for portraiture, whether he's producing snapshots of blues and country musicians in Feel Like Going Home and Lost Highway, or taking a more panoramic approach in Sweet Soul Music, a history of soul music. His two-volume biography of Elvis--Last Train to Memphis and Careless Love--separated the man and his music from tabloid myths. Now Guralnick has pulled off a similar success with the authoritative, epic Dream Boogie: The Triumph of Sam Cooke. The Delta Blues Museum is located at #1 Blues Alley in downtown Clarksdale. The museum is open Monday through Saturday, from 9 AM to 5 PM. For more information, call the museum at 662-627-6820.